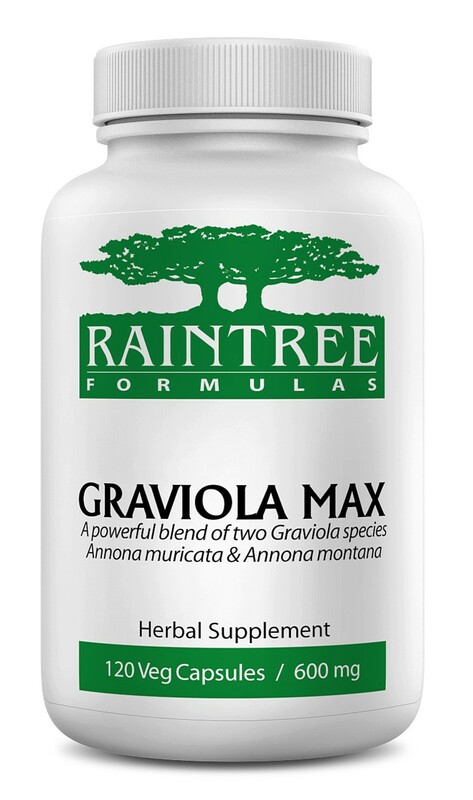 Graviola Max capsules are made from an original Raintree formula that was developed and uniquely blended to provide a stronger, more potent product than the regular Graviola capsule. Ingredients: A blend of graviola leaf and stem (Annona muricata), and mountain graviola leaf and stem (Annona montana). 100% natural herbs as listed with no use of chemicals during cultivation. Our formulas contain absolutely no other ingredients, no fillers, binders or flow agents.